Selling a medical practice is a big step. It signals a transition from one stage of your career to the next. Whether that means retirement, relocation, a refocusing of services, or simply reaping the benefits of a well-placed investment, Doctors Broker has developed a strategic plan to help facilitate to best possible transition. What strategy will best meet those needs? What recommendations fit the defined strategy? How are those recommendations best implemented? How is the implemented strategy working for the defined goals? Through each phase of the process we ask those 5 questions, evaluating our progress based on the results and adjusting our approach as often as the situation requires. During this phase we go to great lengths to learn all we can about your business while maintaining the strictest confidentiality. This process give Doctors Broker a competitive edge when representing your interests to our database of potential buyers, as well as to the public at large. Here we use what we have learned about your business to define a strategic sales plan designed to showcase the value of your practice to potential buyers. We will build a structured sales approach, define your particular market, and even assist in the valuation process. Once a buyer is in place and has been thoroughly vetted, Doctors Broker will help negotiate the terms of the sale to ensure you get the most out of your professional and financial investment. We will help facilitate the closing process by ensuring that all the right players-attorneys, accountants, closing specialists, financing professionals-have been engaged and secured. We make sure the necessary documents are prepared and meet your requirements. Finally, we see that the ensuing contracts are executed profitably. We suggest you do not wait to reach out to us if you are looking to sell a medical practice, and we are literally available 24/7! We have a wealth of information that may assist you and a detailed database of options for partnerships. 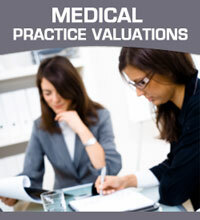 Please let us know your medical practice sales needs and we’ll over-deliver!